Phrases from my earlier life: My step father used to believe firmly that the grass is always greener on the other side of the fence, and so we move around a lot when I was young. It never seemed green enough to him. My grandmother used to believe that time heals all wounds. As I watched and waited, it didn't seem that anything changed. My mother used to say that tomorrow will be a better day. It was always coming tomorrow. Tomorrow is the new year, but even more than this, it is tomorrow; it is the future. Tomorrow will always be in the future where nothing whatsoever can or will be done. Whatever there is to do can only be done right here and right now. I used to make such plans of what I was going to do and how much better things were going to be in the new year, the new month, the new week, the new day, the new hour. That's all they could ever be in the future--plans. Even today, it is hard to resist the romance and charm of the New Year, the countdown, the brief looking back to the past year and looking forward to what magic will happen in the new time. I found that none of that matters one iota. It is only what we decide to do and then actually do right here and right now. Tomorrow actually never comes. It will be today and this moment as it always is and always will be. What Will You Do Right Now To Make Things The Way You Want Them? Spread Some Joy Today--Act on your plans now. There's no benefit in waiting. telling everyone that his or her path is wrong." The Internet is my business now and our company manages over 150 facebook pages and much, much more online. So, I am on facebook, even in my own personal facebook a reasonable amount of time (less than you might imagine!). I peruse the home page and see other people's posts for 3 to 5 pages and like some, make positive comments on some and then I'm out. I see these comments that make me want to slap people and wake them up, but I calm myself and move on without any action. Normally. However, today, I swam upstream with a few comments that were based mostly in anger and self-righteousness, trying to impart a dinky bit of wisdom using some kind but pointed remarks. The results were entirely predictable. I got flak and explanations that didn't hold any more water than the original argument. I swam a bit more. I'm on thin ice, I know, but you had to have been there. Then, I became conscious again and saw the folly of my ways. All that nonsense today, reminded me of the quote above. I was going to use this most powerful quote in another way, but this is as good as any to inject the idea that all we have are opinions. Yours, mine, theirs--all opinions. Some claim to stand on beliefs, but that is just thoughts we continue to think over and over again. There are hundreds of ways to get to the top of the mountain; to the end of the earth; to nirvana; to heaven; or wherever, and they are all as good as any. Some make sense to us, some don't. It doesn't matter except for one thing that I have found, and that is whichever one makes us feel the best, is the best for us. That's about it. Next Time I Feel Like Swimming Against The Current, I Want To Remember This Talk. . . . Spread Some Joy Today--Joy comes from uplifting and encouraging rather than questioning and lecturing. That's normally where I'm at and it is a great place to be. Don't you agree? that matters in the end." Often I find that it is all to easy to focus on a goal, or some time in the future that an event is going to happen and so on, as I unconsciously pay little attention to the life I am living at this moment. I don't do it on purpose, but I just seem to get caught by the romance of the end or the goal. It can even be such things as Christmas day and all the expectations of that day and the massive preparations that are beyond reason much of the time. As I think about what I will need then, or what else I can do then, all in preparation, whether mentally or physically, the days pass and then it is finally here. . .
What about the last 5 weeks? What happened to that? It certainly wasn't lived as fully as it could be since I was only there part of the time. Moments Used Well Can Be Moments Enjoyed and Appreciated As The Goals Come And Go. Spread Some Joy Today--A quick note, a short phone call, a brief visit is all it takes to make a joyous difference for someone. I've seen a lot of quotes and other written advice about successful goal setting which states that you should tell the world (or, at least those in earshot) what your goals are and they will supposedly help you to attain them. I assume that means peer pressure, or trying to avoid the I-told-you-so friends talk by actually, somehow, following through to success. I say BS to that! Truly, in my own experience, telling others what you are going to do is a complete and total waste of time and energy. I know this from having failed to succeed, and then I've got to hear the crap from those I told. This, of course, assumes they even care that much. No. I say, tell no one! Not one! Not your spouse! Not your brother! Not your sister! Not any. None. Nada. Instead, let them see when you actually do it; when you succeed. The naked truth is that no one is interested in what you're going to do. Henry Ford said it well: "You can't build a reputation on what you're going to do." But, you can on what you actually do! The moral? Go and do. Run, jump, move about and do that thing that you have passion to do. Become that person you want to become. Do it. Then, and only then, if you still feel like telling someone, tell them what you were going to do, and while you're at it, tell them, oh, by the way, I already did it. Thank You For Your Support! I Couldn't Have Done It Without Your Help. . . NOT! Spread Some Joy Today--Let only kind words and praise move through your lips this day. "A decision is made with the brain. A commitment is made with the heart. and more binding than a decision." We're just a few days away from that traditional time when we make those resolutions of change--especially those things that we should do, and that is also generally those things that are not very appealing, and so we don't really want to do them, but we think we should. Of course, everyone knows by now that probably a teeny fraction of all resolutions get action after the end of January. The rest have faded into the woodwork somewhere. That's because we are using our brain to make a decision. After being a smoker for so many years, I made thousands of decisions about quitting, and it was something I knew I should do and also didn't want to do, so I didn't. It generally didn't even last the first hour of the first day. Weak and wimpy, but entirely predictable. And, I also know the aspect of choosing with my heart and making a commitment, and the real difference is that it isn't because I should do it, or someone else thinks I should, but because I want to do it. That becomes the commitment, and that is what it took to lay the cigs down after 38 years. It was easy when I got to that place, and when I hear people say it's hard, I know they haven't got to the heart stage. Whatever it is that we want to change, by using our heart and making a commitment, we cannot fail to do what we truly want to do. It is always a choice and it is always our own to make. Save The Resolutions. Just Have A Great Time. If You Really Want To Change, Then Change. It's Easy When You Use Your Heart. Spread Some Joy Today--Cook a special dinner on an off day and use the good china. Make it special just because you can. Treat yourself special. "Are you a thermometer or a thermostat? This is a wonderful quote to keep around and look at once in a while. Are we actively changing our environment or is our environment a reflection of our indifference? I don't mean indifference to be a bad word, I actually think it is pretty descriptive of going along with things, being a thermometer, and it is neither good or bad. It is what it is. But, making a difference is more like being a thermostat rather than a thermometer. So, it is good I think to check that from time to time and see which we are based on how we are affecting any kind of change. I'll give you an example that just came to my mind from many years ago. I was working at a dealership as a sales manager and the general manager wanted this product to be sold in the finance office. After familiarizing myself with it and testing it a bit, it was what I felt was an inferior product. I suggested in a meeting that this was not matching with the quality image of the dealership and that it would be better to find a superior product instead. Standing up like that takes courage or craziness and I happen to have both, but what it really demonstrates is not being a thermometer, and instead being a thermostat. Sometimes being a thermostat means taking a risk, but in my opinion, it is certainly a risk worth taking in order to make a difference. How Are My Values And Actions Lining Up? Spread Some Joy Today--Pretend that it is Christmas the rest of the year. Spiritually. everything you say about them." The above quote is probably the single best relationship advice that exists. It would only be good that I consider it more often. Merry Christmas to all of you who read this. I am blessed to have you be a part. Take Joy. It's A Fitting Command. It's ACTIVE! than making believe you don't know." I like this quote and I want to add one thing to it so that it works much better. So, here's the new quote: "Making believe you know will get you farther than making believe you don't know; however, admitting you don't know is among the most powerful tools for your progress, and far better than making believe." One of the things that has the capacity to change the world is admitting you don't know. "I don't know how to do that," is a powerful statement. It says that you are open to learning; to instruction; to be guided. 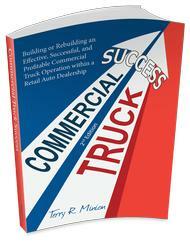 In our Commercial Truck Success business, it is dealers, or especially their trusted managers who make believe they know what they are doing that gets them into trouble. The ego is a powerful impediment to effective progress sometimes. When we let go of the ego long enough to say that we are not sure and that we don't know and even that we want some assistance, we find a world previously unknown to us. This is not to say that pretending to know can't be helpful. It can. But there is a point where we all know that we are over our heads and the outcome is not going according to plan. That's as good a place as any to stop and make a different decision. Buying A Map, Or Asking Directions Is A Good Practice. Spread Some Joy Today--Find a way to encourage someone today. "You become what you criticize. You become what you adore. Tonight I watched a movie that had me crying with joy at the end. There isn't a better movie for me than that. I've given up the end of the world and the misfit saviors, never had much interest in horror, but I have always been and still am a sucker for romantic comedies, and good hearted drama. The movie I watched tonight was made this year and called People Like Us, and it's based on a true story; although, the fact something actually happened or not doesn't mean more than if it is pure fiction. A good story is a good story. This is a great story of a boy turned man who had a part time father and no real relationship, finding out after the father dies that he has a sister he was completely unaware of. How that all plays out is interesting and the ending is pretty dang awesome. Any movie that moves my emotion like that is a powerful thing. That includes YouTube videos I've seen as well. The world is so full of joyous entertainment, along with plenty of that other stuff that many enjoy. I celebrate the entertainers; those who have a passion for a story they want to tell and find a way to get it out there. I applaud their desire, passion and most of all--their follow through. That reminds me of one of my favorite current day mentors, Seth Godin. In a recent email he asks, "What are you waiting for?" He goes on to say, "I'm genuinely, rhetorically curious. What, exactly, are you insisting will happen before you start shipping your art? Write it down. Write down what has to happen before you can make and ship your ruckus. Being clear about what you're waiting for makes it far more likely that your art will happen and far less likely that you're merely stalling." Great Advice. My Thanks Go Out To All The Shippers! Spread Some Joy Today--Ship some of your art. to build your life around your answer." I ran across this quote earlier this month and it has stuck in my head. It is such a great idea and though I have a tendency to give this kind of idea more lip service than participation, I've been thinking about it almost every day. Today, I just acted on it. It was interesting and fun. What was really important isn't what I might normally do, yet it begs to be listed as important. But, today, I just went with the flow. When something came up that I would normally reject in order to do what I normally do, the quote came back to me and I found myself changing my mind. No. This is what is important right this minute. Nothing else. I'll do that. And I did it. Felt great too! If you want to, write this quote above down and look at it for a while here and there. You may find yourself considering it's valuable question more often. And, who knows? Then, one day, you might act on it. Or, maybe you already do. Choose A Great Day, Just Because You Can! In Fact, You're The ONLY ONE Who Can. Spread Some Joy Today--Today is a wonderful day for a few impromptu random acts of kindness, don't you think? has mastered the craft he or she is criticizing." What's also interesting about this quote, is that I'll bet that if it were someone who truly mastered the craft, they would fail to criticize at all, and encourage instead. And, to everyone else, I recommend acknowledging their right to an opinion, and thanks for their consideration, while you move along your way, leaving it all behind you. When it comes right down to it, you are living your life, and though others may share in part of it, they cannot be allowed to make your decisions for you. We all have to decide on our own. It also doesn't matter that it may be a friend, a spouse, a relative, a co-worker, or a stranger, none can impede you if you do not allow them to dissuade you. You are in control at all time about what you think. Therefore, none can decide better than you. Follow your passion and your own belief and share the REAL you with the rest of the world. Spread Some Joy Today--Risk more. It's life and it's full of change. Blending is not so much joy. Let your uniqueness lead and joy is inevitable. the harder it is to surrender." I was thinking and living how habits large and small, helpful and less helpful are like comets revolving through our solar system with predictable return, though we have the ultimate power to alter their orbit and their fate. This came about as I was thinking about how I work from morning to night almost everyday--or, at least that's the story some tell who know me, yet it's accuracy is subject to question. Yes, I do work a lot, and not because I have to (thank God! ), but because it is my purpose, and I enjoy what I do and I am intently interested in it. So, from the outside looking in, people might have the impression I am at work all the time. What they don't see is the multitude of diversions and purposeful breaks I take throughout the day or evening. Often, I just get up and move around thinking of some things, pacing around the room. Other times, I sit in my favorite green leather recliner that rocks and without reclining, rock back and forth contemplating the origins of the Universe. Less often than I would like, I recline slightly in that glorious chair and sail away into dreamland for an unspecified period. This last activity is clearly among my favorites. Lately, I often drive my wife somewhere near she wants to go, take the dog, and return sometimes hours later. Her situation prevents her from driving any more, but now she wants to go where ever I go, whether the bank, the store, pay a bill or two, or what. I find this a relatively new experience and enjoyable too. Yet, I also find it hard sometimes to surrender to the diversion and let go of the work. That's the habit part, I'm certain. But, I do recognize it and generally find sufficient diversions to harass it periodically. So, as we delve into the actual time spent on actual and real work, it must be known that I certainly do not work all the time, but I don't mind so much that some think otherwise. Of Course There Is A Definite Difference Between Time Spent At Work And Work Actually Being Achieved. . . Spread Some Joy Today--Enjoy yourself whatever you are doing and wherever you are doing it. I think there is so much that never gets done because we think we're not good enough, or that we're not skilled enough, smart enough, not ______enough. I watched a business video on YouTube tonight and the entrepreneur was asked what he would say to those who are thinking about starting a business--what words of wisdom did he have to share with the world? He said, "Don't think. Just do it. If you think about all of the things that could go wrong or that you need, etc., you will never begin. Just start and it will all work out." Sounds Like Great Advice . . . Spread Some Joy Today--When was the last time you treated yourself and had joy with yourself alone? there's no sense in getting upset. It is so very interesting to me now that I just don't get upset much about anything anymore. It is a wonderful place to get to and I am enjoying realizing it and watching how I deal with surprises, problems and such. I just bought a new main desktop computer less than a year ago. It has been giving me a lot of issues that I have dealt with by going around them. Windows Explorer has been crashing and I've had to use Firefox and Google Chrome as alternatives to get my work done. I called my computer guru and he was working on it, but a couple weeks went by and I called back. We made an appointment to bring it in for a couple hours on Saturday for a tune-up and try to figure out the problems. He fired up the computer while I waited a bit and the main hard drive began making noise and it would not run. He pulled it out and tested it and it was toast. Do you have any idea how many files I have on there? This is huge. But, I took that news as if it was no big deal. What good will being upset do? It certainly won't unstick the hard drive. So, I left it in his skilled and capable hands and went on my way. So this weekend I had a load of work to do and I wasn't able to do but only a small fraction of it on my backup laptop. So, I just did what I could and went with the flow. This lack of reaction is beginning to be a habit with me--or, maybe it already is. I absolutely love it. It is as if I've achieved some sort of spiritual passage. Or, maybe it is Bob Proctor's sign on my wall for the last two years or so: "React? Respond! React? Respond! I am responsible for my life, for my feelings, and for every result I get." Of Course, It Doesn't Hurt . . . Spread Some Joy Today--by not allowing circumstances and changes create a reaction in you. Instead, choose peace and joy. Two days ago, I said that I have been playing guitar for about 46 years. I have to correct that statement because it is grossly inaccurate. The real truth is that I began learning and playing guitar 46 years ago. There's a world of difference in those two statements. In the car business, where I spent 25 years mostly as a sales manager, I learned the phrase that was all too often true: "he had twenty years experience. One year, repeated 20 times." It's absolutely okay to get to a place where you feel no need to go further. I don't argue personal satisfaction with a chosen place, but I see and hear a lot of people who complain about where they are or that they aren't getting the results they should get or deserve to get and that it is something external that is controlling their outcome beyond their control. The reality very well may be that they are actually controlling their outcome so perfectly, but their mind isn't in synch. I Really Have About Five Years Of Experience Repeated About Nine Times . . . Spread Some Joy Today--Find some peace for yourself and enjoy it. Your inner peace will affect your outward appearance and demeanor. "Love [is stronger] than violence." Power of Love will replace the Love of Power. Spread Some Joy Today--Remember the love you have at your disposal and that how you use it is up to you. Send an extra supply to those who need it around the world. I'm a guitar player and have been for about 46 years, but I wouldn't even be on anyone's radar near these guys; however, I can truly appreciate when I am in the midst of truly special talent, as these two gentlemen are. What came to me when I saw this video was how each of them fed off each other, encouraged each other, stretched each other, and more. When two great artists get together, there is a synergy in action that is subtle and yet profound at the same time. You can see in the first few seconds how Frank on the left responds to the intro of the song, and then back and forth they delight each other and the bar is raised and they respond to that and yet, throughout all of that joy, there is the constant presence of the song, the tempo and the follow through to completion of the piece. It is beautiful to watch when you see it and it is beautiful to listen to as well. When you are good--really good, at something you do, how do you improve, expand, become more? You have to get around others that bring that out of you, don't you? It's the only way to go forward effectively. That reminded me of the movie, Prefontaine, about Steve Prefontaine and his coach who became the founder of Nike shoes. In the movie Steve was pushing and pushing for more competitions with better runners so that he could be challenged and become a better runner. I love to get around people who know more than me and who are more skilled too. It is a perfect way to know more, and become more skilled. Think of it as graduate school. Do you have people like that in your life who can help inspire you to greater things? It Is Also Said That Fish Will Only Grow When There Is Room To Grow In The Space They Are In. Spread Some Joy Today--Every time I write a paycheck, I send a thank you in some sort of way; most of the time in writing, sometimes not, but always the thought of my gratitude for them and what they do for our company. Doing this is sincere and heartfelt, but it is also a reminder to me of where best to put my focus. Far be it for me to argue a point with the world famous Peter Drucker, but I would add one more word to this quote to make it more true and real: service, or being of service. You might say that is a given, but it's not. When I was a teenager, I worked in a few gas stations. They called them service stations back in 1966-7 when I pumped gas (it was between 28.9 and 38.9 a gallon). I would get the gas order, wash the windshield, check the oil, battery for water, and often the windshield wiper blades. I sold cases and cases of oil, and provided service by taking care of the customer needs including adding air to the tires. Now, I doubt if any of the gas stations sell oil, wiper blade inserts, and such, although many now sell quick food items, and other sundries. Maybe that's innovation, and maybe even a different kind of service, and obviously, it must be one that is more appreciated since there are no service station attendants now, but there are clerks at the cash register. Larger size super markets ate the mom & pop local stores for lunch, but 7-11 recreated the mom & pop in local neighborhoods and the change was a massive success. This was innovation, and increased service too. This is also a perfect example of not slicing up the pie and competing for what's left, but making a bigger pie. Change Is Inevitable And An Interesting Story To Watch Unfold And Also See In The Rearview Mirror. Spread Some Joy Today--Time will probably change a negative view of change. It probably has in your life many times. Take a look and see how perfectly those changes have become. It sort of makes for some joy today, doesn't it? "Where do you go for wisdom? How do we tap into the knowledge of others? Yesterday, I received my latest issue (Jan 2013) of a favorite magazine, Success Magazine, and in every issue there is an article by a favorite author, John C Maxwell. I love reading John's thoughts and words. He inspires me and brings me along in many ways, and his life skill is teaching and practicing leadership. So, I come to this month's Maxwell article, What Your Office Says About You, and I had to laugh to begin with and then I read the article. In the article, he talks about meeting so many leaders from all around the world and visiting their offices and how things in their offices spoke volumes about them as leaders, and he goes on to talk about his own office. At the end, he asks some questions: "What's on your wall? Are there words of wisdom that keep you on track? Photos of someone who inspires you? Reminders of what's most important in your life?" He suggests finding things if you don't, and he ends with this line: "What you have on your walls communicates a lot to you and says a lot about you to others." I said I began to laugh when I first read the title of the article, and that is because I cannot imagine John C Maxwell in my office. He would probably have a heart attack on the spot. I can imagine that he might think, "this office says this guy is all over the place!" And, it's true. I am, and I'm sure my office reflects it. Other than my wife and family, almost no one is ever in my office, so I don't entertain guests here generally. This gives me freedom and license to do as I please, and that often means that I move from project to project, almost always in front of my computer, and being the world's worst case of messy desk, along with many other flat surfaces nearby. Filing, or rather the lack of filing is a long-term downfall, although I have many file cabinets full of files. People who know me but have never been to my office would say that I was organized. And, I am. But, I am also not. My organization is compartmentalized. Someday, I will have the personal assistant I crave to help me have a clean desk and office, and until then, it may speak chaos to some, but it speaks home to me. I Probably Need Some Feng Shui Guru On Staff. Spread Some Joy Today--Make a list of your successes in the last ten years. Feel the joy in that. Now go create some new ones. of the candle will not be shortened. Like the candle, when we brighten someones day, cause them to laugh or smile, demonstrate kindnesses in a myriad of ways we are not less than we were before and yet we have extended our reach to as many as we decide to influence. Yet, unlike the candle, it seems to me that this candle is not only energized, and improved by the experience of influencing others, it is enhanced and expanded by it. Now isn't that an interesting thought. . .
What A Great Return On Investment. Spread Some Joy Today--Never force it, but be ever open to sharing with others. It is amazing how well it is received. As simplified as this sounds, the quote above is all about liking, or rather, loving and respecting ourselves. It involves a realization that we have power--predominantly, the power of thought and activity. Though very few ever realize the full depth of that power, there is a point where many of us get to where we recognize its value and that it does exist. It also stems from appreciation of all. Not just ourselves, and yes, ourselves, absolutely, but that appreciation needs to extend to all of those that are around us. The reason is because we realize that at the base of things, we are made of the same materials and Creator. To not appreciate is to automatically depreciate ourselves. Worthiness is a tough one for many because they look for someone or something else to validate our own worthiness. This cannot be justified from without, it is like happiness and peace, which can only come from within. We are worthy because we are and there is need for no more than this. Beauty is often put into a tiny box, but is truly universal and is displayed in millions of ways, all of the beautiful. Beauty cannot be contained, it can only be expressed or not expressed. All we need do is express the beauty we have within us and it will be reflected without us. Power. The history of the world has proven over and over and over again that the power of humankind is awesome. Some of that awesome power is expressed as the power to be, power to build, power to destroy, power to heal, power to praise, power to love, power to understand, power to create. This, as in the others, is not something that is given by others as it is pulled or brought from within. Indeed. The more you know, the less you need. Spread Some Joy Today--This week while you're out and about, carry some extra cash and every time you pass a red kettle, or other opportunity to donate, drop some of it in. It doesn't have to be much, although I'm sure generosity is always accepted, but it will make you feel wonderful and peaceful. That is joy. it is necessary to shift our perception. . .
their wrongness and our rightness." I found myself using blatant sarcasm, making fun of someone else's beliefs about something because. . . well. . . it doesn't matter why, does it? It was not my finest hour and as I thought about it afterward, I saw the error of my mouth. Of course, to me, some of those beliefs are just plain silly and really easy for me to make fun of; however, who the hell am I to stand in judgment of what someone else believes? Since I'm a practicing proponent of unconditional love, I need to get more practice in, don't I? Every single one of us has beliefs that others around us do not have. This is also true of nations of people and throughout the wide variety of cultures around the world. The only way I can see the world really working is each of us allowing the other to have their beliefs, while they also, allow us to have our own. Debating a belief is fine when both parties want to explore the others beliefs, but when someone wants to cling to theirs, I need to support their right to hold whatever belief they choose. Hopefully that is returned, and we are at peace. It is the perception of I'm okay and you're okay that works the best. I Knew That. I'll Practice The Art Of Allowing More. Spread Some Joy Today--Do something good, and unusual for someone. This quote reminded me of two things from my past business experiences. The first was Friday sales meetings in the car business. What a waste of time and energy these things were. I've led hundreds of them and I doubt if any one of them ever made a difference. I've also attended enough with the same blatant results. The second thing it reminded me of was forecasts. What a waste of time these things were. I don't understand the value of them. If you hit them, everyone was obviously playing it safe, and if they were missed by much it was overambitious dreaming. You know what is better than forecasts? A plan of activities and action that is intended to innovate and improve relationships. That will improve business no matter what is going on in the economy. Oh, there's a third thing. . . mission statements. How droll. You know what's better? Live and act with integrity in all dealings, and the old throw back from when I was a little child, The Golden Rule. JC Penney made a large company based on just that. In fact, his company was named The Golden Rule Store when he began. What does the quote above cause you to remember? or challenge? If It's Broken, Create A New And Better One. I've been told by numerous people to protect myself and to act a certain way that makes people think something different about me so that I will be more sophisticated and worldly. I used to believe some of that and so then always felt uncomfortable in places that I wasn't really familiar with. Then, somewhere along the line, I let go of the idea that sophistication was a requirement for success and adopted innocence instead. Somewhere along the line we have seemed to adopt the idea that innocence, especially in business, is undesirable and a thing to avoid. I am finding that it works extremely well actually and it is way more fun and far more interesting, and at the same time so much more comfortable. Pretty much, having innocence comes down to being yourself and not trying to be something you are not. Something you're not is what goes on most resumes. What you are is the person that most employers have a challenge finding during that interview with the resume in their hands. Based on my own findings, I highly recommend, not worrying about what others will think of you and just be the person you are--respectfully, of course. If you don't know something, say you don't know it. Don't make something up. You'd be surprised how open people are to speaking from the heart in business matters, as in personal matters. Whoever You Are Right Now Is Perfect. Tomorrow Is Another Day And Another Level Of Perfection. Spread Some Joy Today--Be generous! It is fun. You don't need any better reason that that. look at those who can forgive. look at those who can love in return for hatred." In yesterday's CTS Daily Inspiration, I referenced Albert Ellis's quote that began, "the best years of your life are the ones in which you decide your problems are your own." Today I was thinking of some I know who focus so much on someone else as a demon in their life that they hold tightly to this grudge against them for affecting their life and continuing to affect their life negatively. Not only can they not forgive, but worse, they can't forget. Ever been around someone like that? Probably not for long, because it surely isn't very pleasant. I like how Brian Tracy talks of forgiveness: "Issue a blanket pardon. Forgive everyone who has ever hurt you in any way. Forgiveness is a perfectly selfish act. It set you free from the past." He says, "forgive everyone who has ever hurt you in any way." That would include parents, grandparents, ex-spouses, ex-bosses, ex-friends. But, is that enough? Just forgiveness? Letting it go? Laying it down? Giving up your persecution of the wrongdoers? Have you ever loved someone who has wronged you? Have you ever not only let it go and forgave them, but also had compassion on them and loved them and all of a sudden cared for them as human beings as if they were separated from their actions? Have you ever done that even if they have not stopped their wrongdoing? The thing that we somehow forget is that we need to own our own feelings, and realize that they are our feelings and that we created the feeling inside us. The outside stimulus was only a trigger that we allow or disallow to affect how we feel about others and more importantly, about ourselves. So, in not forgiving, in holding on, in continually thinking about being a victim of others acts or words, we are the ones carrying the burden. And, make no mistake, it is a burden. Forgiveness may be likened to closing the door on the subject, but loving is more like opening the door to a warm Spring breeze and healing sunshine. The Greatest Revenge Is A Mutual Healing. Spread Some Joy Today--Turn around for a short while and look behind you. Who is there that you are refusing to love and forgive? Recognize that it is now time to do so. the energy of those around you." This quote is the prime directive. I never forget it and always do my best to live up to it, and if I falter, to get back up right away and get back on track. When one accepts the challenge of the leader, it is of paramount importance that we lead the way by the example of our own energy and our own attitude, and our own work ethic or commitment to our field of endeavor. Having accepted and wanting that role, I take the charge of my energy seriously, but not without humor. I motivate myself by reaching out to gather inspiration from a variety of sources to continually renew my mind. It makes all the difference in helping shape my own attitude and keep it square. And, even more than this is the passion that I have for what I do. It is not work to me, but interesting fun and challenges. That helps renew my mind as well. I keep my complaining level to that of a non-complainer. Who wants to listen to someone complaining all the time? I respect and appreciate the time and energy of others. But mostly, I get out of their way. When You Think Of The Quote Above, Doesn't It Make You Think Of A Good Mother? Spread Some Joy Today--Next time you hear yourself complaining about anything, stop suddenly and find something, anything to praise. Instant change. You realize that you control your own destiny." In all my life I've had troubles. I have them now as I've had them always. They vary in degree, frequency and longevity, yet they never seem to leave for good. And, for most of my life hardly any of my troubles were my own creation, but those created by others on my behalf, even though I didn't ask for them. The only thing that has changed today, is that all of my problems are my own. I created them, attracted them, allowed them to be. You know what's funny about that? They cause me so much less stress today being my own than they used to when they were not my own. Perhaps it is the fact that I feel that I am in control where in the past I felt more like a victim. Feeling like a victim is not all that pleasant even with all the justification on your side to blame the persecutor, it doesn't change the crappy feeling of being a victim. Only by accepting my problems as my own, I have changed my entire outlook on my life. And, truly, the only thing that really changed was my point of view. Spread Some Joy Today--Who created your problems? Taking responsibility for them is guaranteed to create more joy in you. "There cannot be a crisis next week. My schedule is already full." My first inclination when I saw this wonderful quote was to laugh because it seemed cute and like a good come back. But the more I considered it, the more I thought, 'Right on! I'm with Henry! I'm not accepting any new crisis this week!' Then, I thought, why not every week? Consider the power you take for youself with this line. . . I Disconnected The Crisis Line. . . I'm On Vacation! Spread Some Joy Today--Any of you on Linked-In? When was the last time you gave a few people an unsolicited recommendation? It's a charge! Do it. Once in a while I have to look at the sum of my possessions and see how relative they really are in my life. I saw a film tonight that brought that to my attention again. It was where someone had a fine collection of things and chose to just walk away from them with almost nothing. As I watched it, I was wondering if I could do that. . .
Let's play a game. There is a very large wave coming in two hours. All the homes within a few miles of yours will be lost along with all that each contains. Evacuation is guaranteed prior to the arrival of the wave, and you have exactly one hour to pack what you want to take that will fit in the trunk of a taxi cab. What would you take? I know I have hundreds of possessions that at some point meant something to me, but now they are just there. I've grown accustomed to them being here, but they hold so little value in my life now. What do they mean? Nice to have? I don't know. I think maybe, it is just the thought of someday needing it. The reality of that is probably never. We have so much now, and even have much larger homes than in the last 50 years and yet off site storage is a multi-billion dollar industry with many huge storage facilities in even a moderate sized town. I also rent one and have for a lot of years. What will I take? Hmmmmm. . . Taking Stock Once In A While Can Be Insightful. Spread Some Joy Today--Which relationships would you take with you? Maybe it's time to call them, write them, or send them a little possession. . . In Runaway Bride, Richard Gere's character called himself in jest, The Last Minute Man. Many times I can relate to how he was feeling. Waiting for inspiration can reinforce the last minute methodology. Sometimes I follow Jack London's famous advice where he says, "I don't wait for inspiration. I go after it with a club!" Certainly seems more proactive, when waiting seems so inactive, and I am not a fan of inactive generally, unless of course it is on purpose and for a short and specific time frame. That's what naps are all about. I had two important projects that were due today on the last day of the month. I just barely got one done, half on the other and begged for the weekend to finish it up. I hate going down to the wire. I want to follow through and complete important projects in a timely manner. To me that is well before the deadline--at least, that is my plan. Sometimes it is the volume of things coming, and other times, I'm reverting to procrastination, but the main reason projects come down to the wire for me is that I am not fully sure what I am going to say or how I'm going to handle it, so I want to mull it over, chew on it and wait on the inspiration for a while. Then Tuesday turns into Saturday, and pretty soon the deadline is so near that I have to stop everything else and get focused. Focus, Minion, focus! That's when I get the club out go after it. I know I'm not alone. . . and there's at least one or two of you out there that can relate. Here's To All Your Projects Done Perfectly And Always On Time! Spread Some Joy Today--When you have joy in your life every day, some people think you're abnormal. I say Hallelujah to that! I AM!